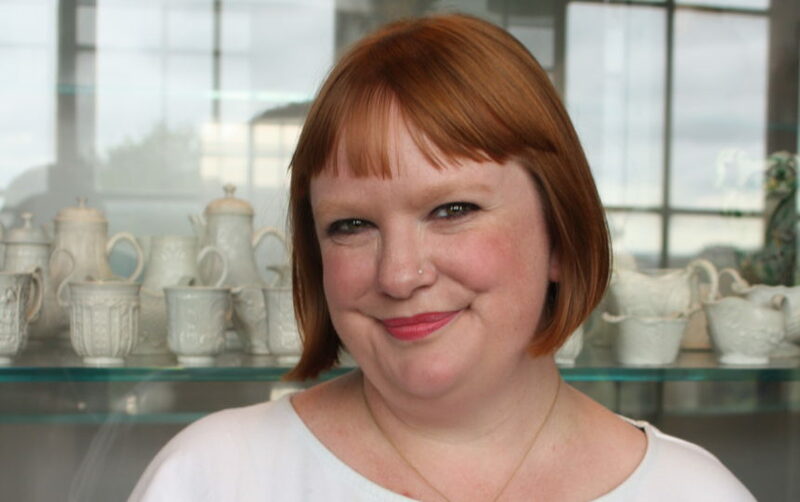 Jenny Wedgbury is a freelance museum education specialist with over 12 years experience of working in museums, galleries and heritage sites. What are your main work activities? I am a freelance museum education specialist, working with clients such as the National Army Museum, Heart n Soul Learning Disabilities charity and Culture& amongst others. I am a Fellow of the Royal Society of the Arts (RSA), chair for the Group for Education in Museums (GEM) London, the UK representative for the International Council of Museums (ICOM) Committee for Education and Cultural Action (CECA) and a judge for the Sandford Awards in Museum Education. Tell us about your typical working day. My typical working day at the moment is going to either the British Library or Royal Society of Arts and using their reading rooms, library spaces to work. I take my laptop and my headphones and do all my writing, admin and research. I tend to try and work from one of these institutions two days, delivering sessions and projects at different museums for two days and from home on one day a week. I am about to start a part-time PhD so will be spending more time in archives and different libraries soon. I love my job. I have recently gone freelance after working in permanent and temporary contract jobs in museum education over the last 12 years. I love the freedom that being freelance gives me. I like being able to choose the projects I work on and the museums and audiences I work with. I love the variety of working with such a range of different ages of audiences and having the opportunity to work with colleagues I know from the sector. The world of museum education is incredibly friendly and supportive. One of the main challenges of being freelance is that you don’t have the financial stability of a permanent job. This means that you have to plan out the contracts you take, work you can do to make sure that the money you earn is split across the year to support yourself. Another challenge is that you don’t normally get to see through projects in the long term, you tend to work on shorter-term initiatives. I also miss the feeling of being part of a museum team, working collaboratively with front of house, operations, curatorial, conservation departments etc. Briefly describe your career leading up to today. For example did you do a course in this area? Did you switch career? I have over 12 years experience as a learning professional in the sector. I did my BA in Combined Arts at Newcastle University and then went to Spain to teach English as a foreign language, living in Barcelona. I then returned to the UK and worked as a project assistant and PA in an adult learning research department at UCL, Institute of Education. During this time I did a part-time MA in Museums and Galleries in Education at UCL Institute of Education, studying in the evenings and at weekends. I gained experience of museums during my studies by volunteering at the Foundling Museum every other Saturday. My first museum education role was as an education officer at the architectural education charity, Open House London. I then went on to work in learning roles at Historic Royal Palaces (HRP), the Victoria and Albert Museum (V&A) and at UCL Museums. What key skills do you need to do your job? Enthusiasm, patience, research skills, ability to teach/ talk to learners of all ages and a collaborative spirit to share experiences and knowledge with others. What’s your advice for someone wanting to work in this area? My advice is that it’s a wonderful sector to work in. Yes, it’s hard sometimes to get work and it can seem disheartening when you’re going for lots of interviews but my advice would be to persist and keep faith. The brilliant thing about museum and heritage education is that you’ll always find topics, audiences and places to work with which will fascinate you and keep you inspired. Find out more about Jenny’s work on her website. The MA Salary Guidelines 2017 address the issue of pay in the museum sector.